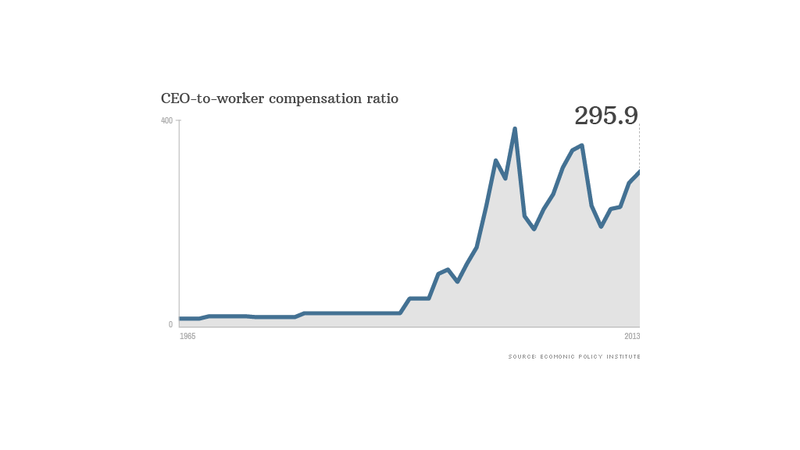 CEO pay was 295.9 times workers' earnings in 2013. CEOs earn nearly 300 times what workers do. That means the pay gap between employees and their bosses continues to widen, according to the Economic Policy Institute's latest report released Thursday. 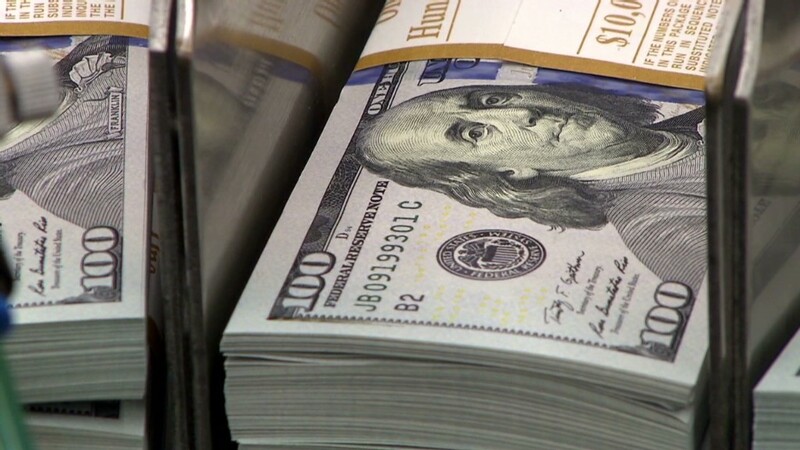 Average CEO compensation came in at $15.2 million in 2013, according to the left-leaning think tank. That includes salary, bonus, restricted stock grants, options exercised and long-term incentive payouts for chiefs at the top 350 U.S. firms by sales. Private-sector, non-supervisory workers, meanwhile, earned an average of $52,100. To calculate the pay gap, EPI looked at the ratio of a CEO's package and the average compensation of a worker in that company's main industry. That gap started growing again after contracting during the Great Recession, when the stock market collapsed. The market recovery -- the S&P 500 gained 29.6% in 2013, its biggest jump since 1997 -- has boosted executive compensation. CEO pay rose 21.7% since 2010, while workers' earnings fell 1.1%. "CEOs have done a lot better in this recovery than have workers," said Lawrence Mishel, EPI's president. Soaring CEO pay is one reason behind the rise in income inequality in recent decades, Mishel said.